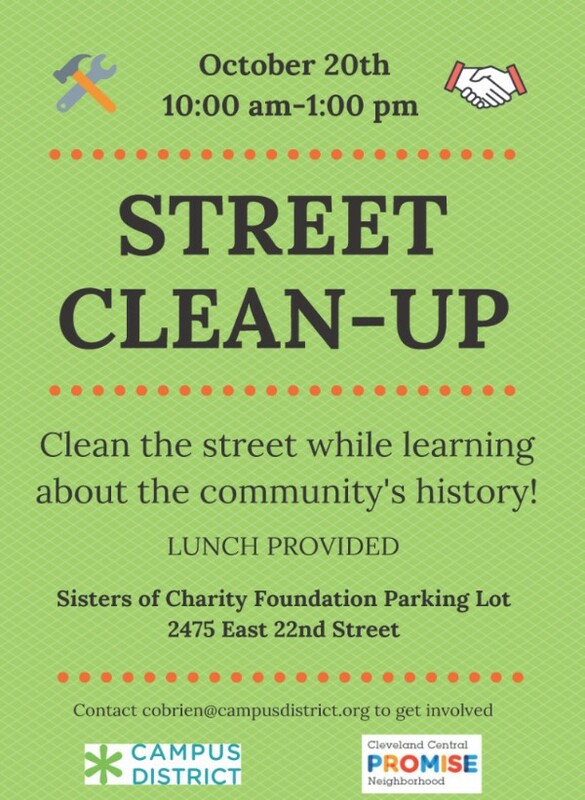 Street Clean-Up October 20th — Campus District Inc.
On Saturday, October 20th, Campus District, in collaboration with Cleveland Central Promise Neighborhood, will be hosting a Community Street Clean-Up on East 22nd Street. The clean-up will take place on the specific portion of E. 22nd between Cedar Ave. and Woodland Ave., which was rebuilt in 2011. Volunteers will assist with activities such as removing weeds, picking up litter, and applying anti-graffiti paint to the mural on the E. 22nd Street bridge. There will also be a segment of the clean-up in which volunteers will have the opportunity to discuss racial equity and learn more about the history of the community.